Is it possible to own too many chelsea boots? The answer to that question is NO. By now you’re either sick of seeing me in this particular color or I’ve convinced you that it’s the best hue in the rainbow (it really is). When I was asked to choose my favorite shoe I immediately knew which shoes i wanted to get. This leather chelsea boot in conker brown spoke to me on the rack and said “Wear me or forever regret it!” so it was more like a threat but I didn’t ignore my intuition regardless. 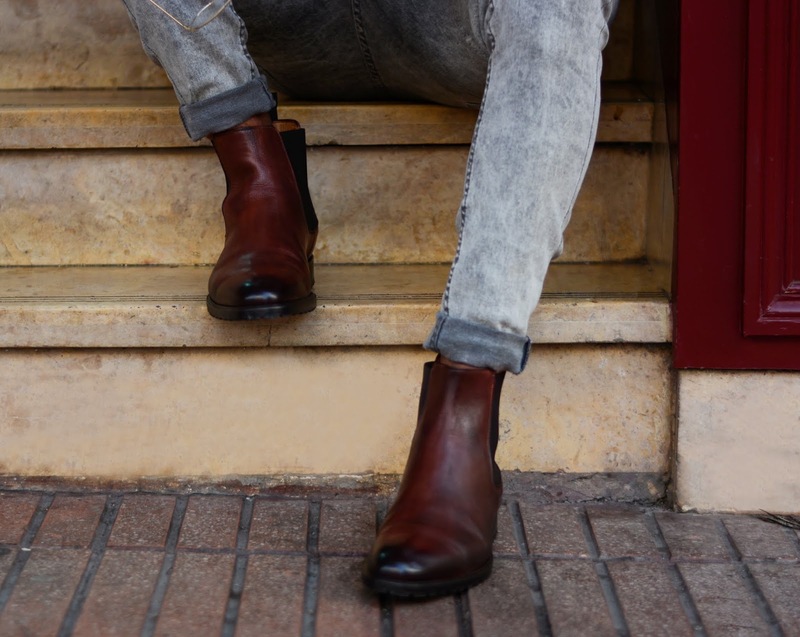 this incredibly versatile men's Conker Brown Chelsea is a comfortable, slip on ankle boot with a plain rounded toe and sculpted Thomas Bird designed side gussets. 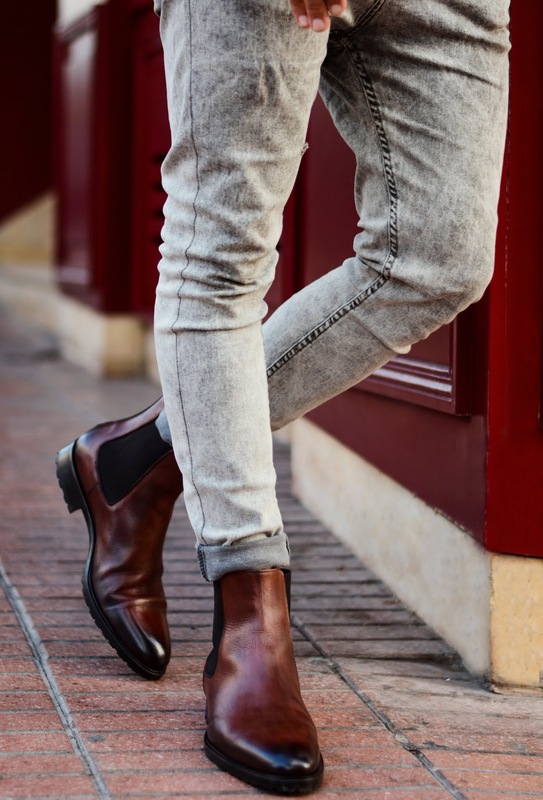 A staple boot for any gentleman's wardrobe. It made the styling process more conveniently dapper and gave me a confidence in my step. In between Rabat coffee and meetings I strutted my ‘stuff’ like it wasn’t no ‘thang’. 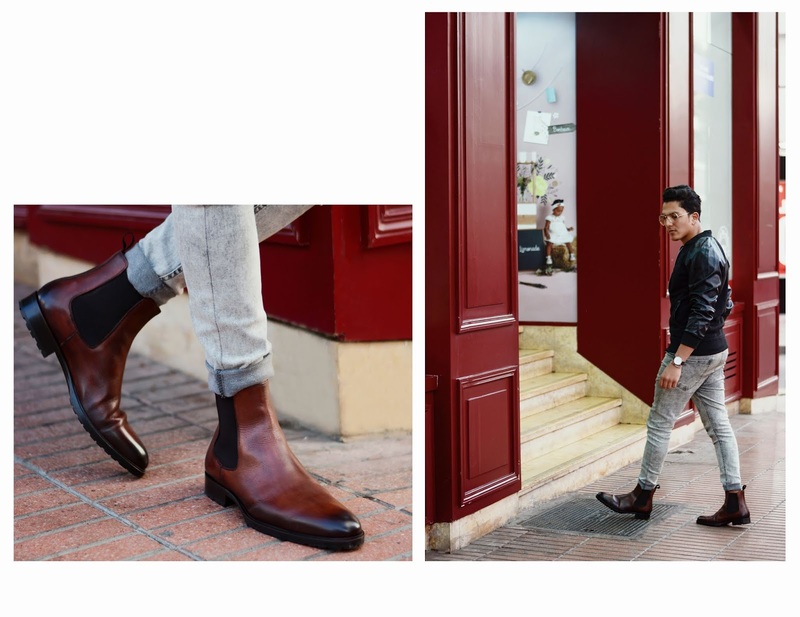 Confidence is everything people, and boots from Thomas Bird can sure take you there easier. 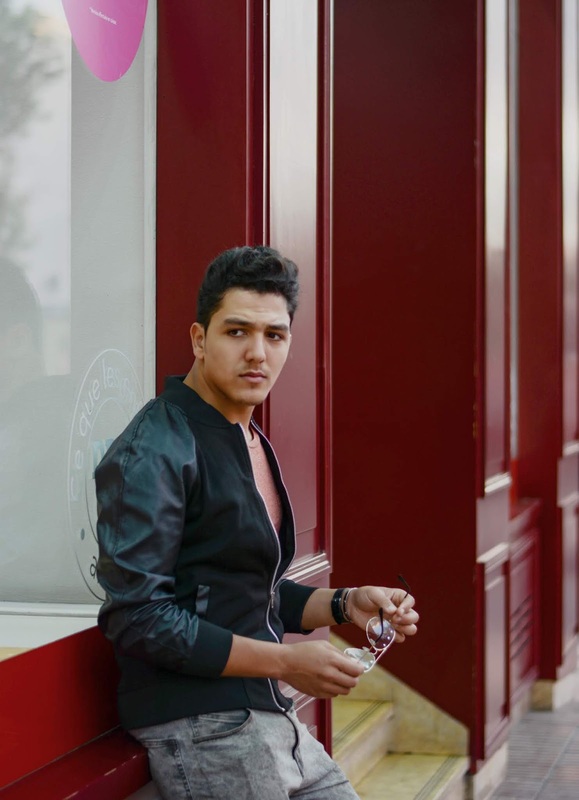 It inspired me to create a look similar to what Zakaria would wear. 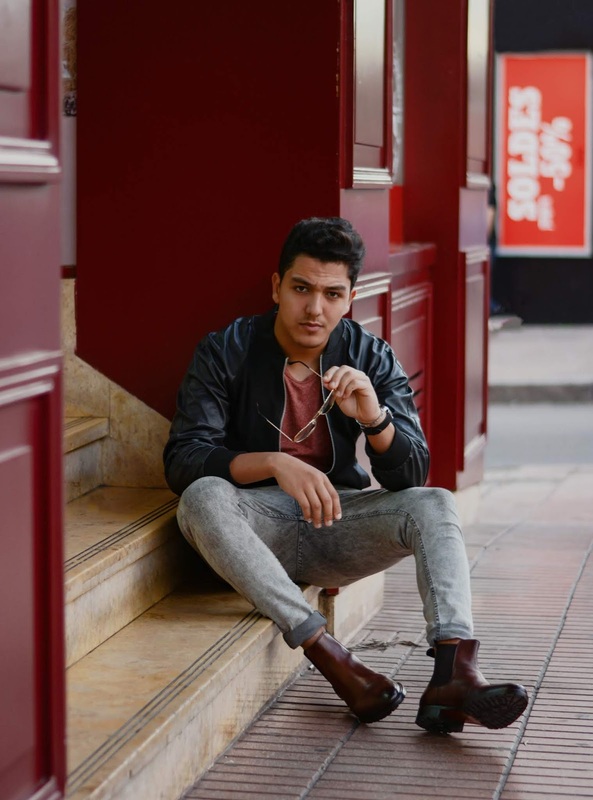 He was in love with the boots as well, and I naturally gravitated to my H&M jeans which are always a go-to-choice for earth colored, worn-in looks, and also happen to be a favorite of Zakaria’s. 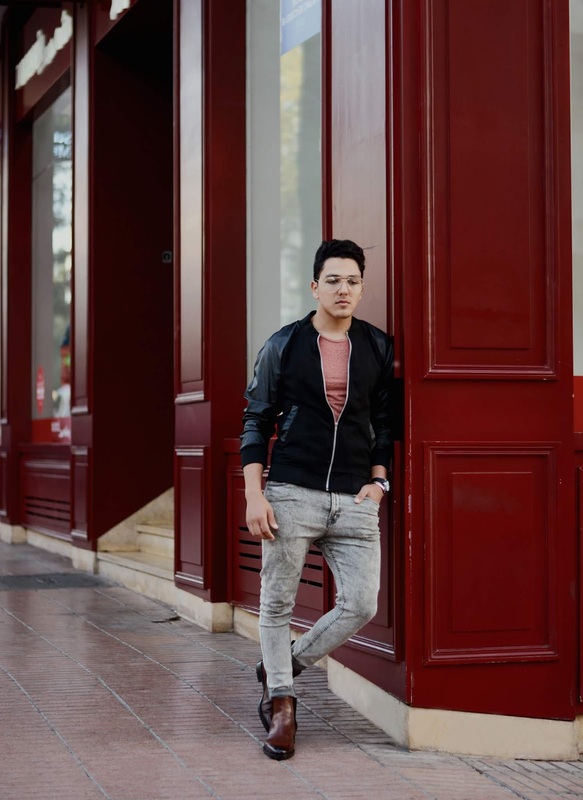 So I decided to keep the theme going, went with a simple red t-shirt, a black colored bomber jacket, as well as a black watch to finish the look : very happy with it. At the end of the post keep checking back, we’ve got a post every 5 days as per usual! Thanks guys!